Hey, ColorSutraa fans! 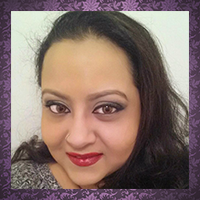 My name is Heather and I can be found over at I Feel Polished! I'm honored to be here today posting for Babi! 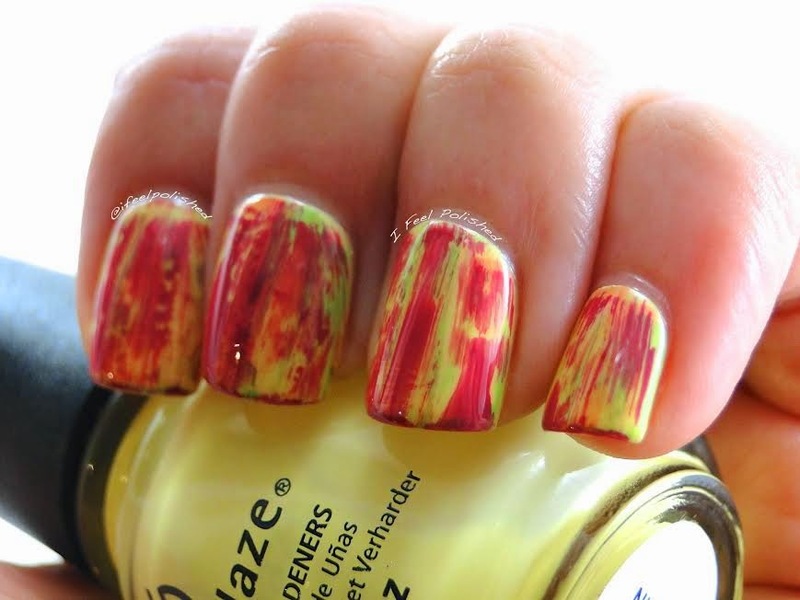 I have some refreshing summer nail art for you! I love doing distressed nails. Whenever I really want to do nail art but I don't have a lot of time, I always turn to distressed nails. They are so easy to do and always end up looking awesome! 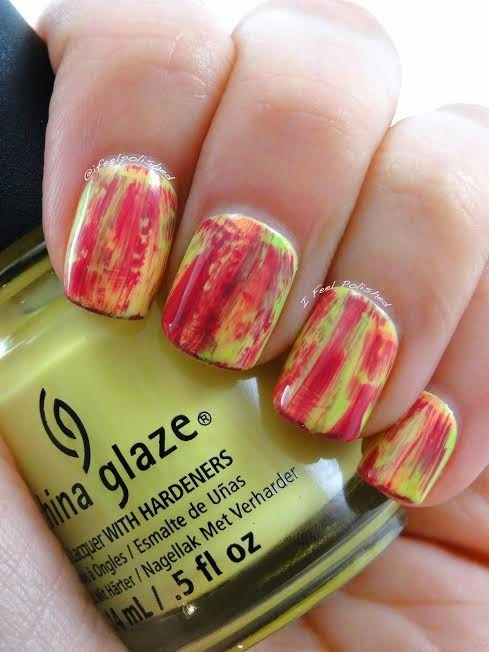 You accomplish distressed nails but polishing your nails a base color and allowing it to dry. Once your base is dry, you choose your first color to distress with. Then, you wipe as much of the polish off of the brush as you can using the neck of the bottle. When you think there can't possibly be any polish left on the brush, you drag it over your base, leaving a streaked line of awesome behind! I tend to do this with two to four colors, but you can do it with as many or as few as you'd like! 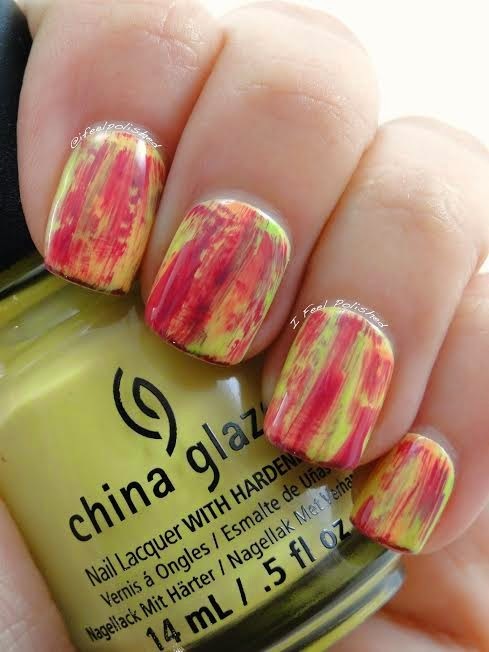 For these nails, I began with a base of China Glaze Sun Upon My Skin, a creamy yellow perfect for summer! I used China Glaze Dune Our Thing, Shore Enuff, and If In Doubt, Surf It Out for the distressing!